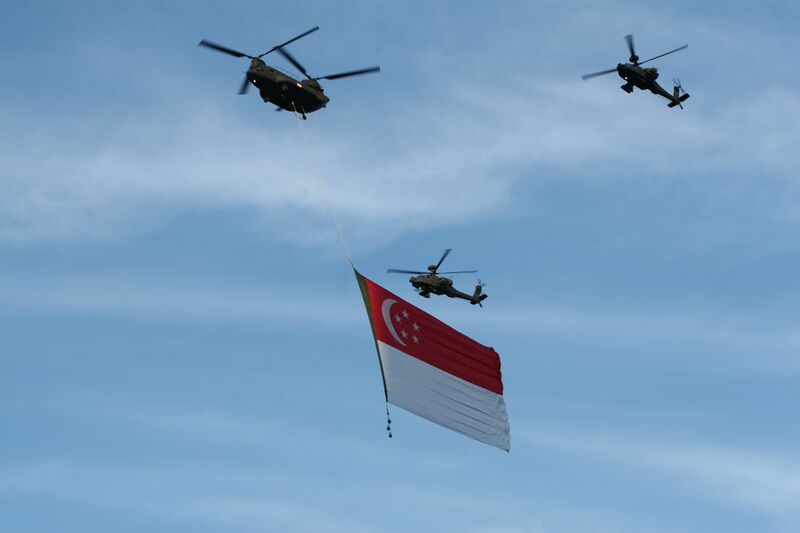 The date, 9th August 2010 is coming very soon and Singapore’s birthday, National Day Parade (NDP) 2010 is getting closer and the rehearsals have arrived to the final rehearsal before the grand National Day Parade itself. After capturing over a few rehearsals and snapping photographs from different locations, I decided to concentrate on taking fireworks and aerial display, from a new location. Initially, I was planning to take photographs from the Marina Bay Sands (MBS) or SkyPark area, with a landscape view of the Marina Bay, Esplanade and Raffles Place financial district. After walking from One Marine Boulevard towards MBS, I made a detour into Central Promontory Singapore, this place had went through a great revamp and it’s really nice ! The views were great too and after doing some view looking, I decided to plant myself here for my fireworks taking. The weather was great, clear blue skies, beautiful clouds, capturing the beauty on my Canon 30D, perfect for landscape photography and aerial photography. With my experience from the previous 2 rehearsals, the timings for NDP runs like clockwork and it was a test for me to capture the fast flying F15 fighter planes in high octane action ! After the aerial display was over, I began preparing for fireworks and started capturing sunset and night sceneries shots of MBS and Marina Bay, while settling my angle and position for the fireworks action later. 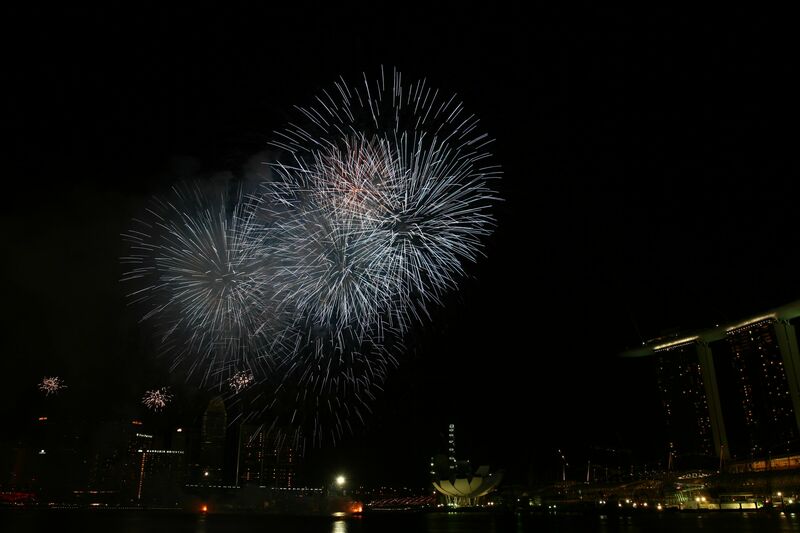 Soon, the time passed very fast and the fireworks came, fast and furious, lighting up the Marina Bay ! gorgeous shots.. u really captured the moment. 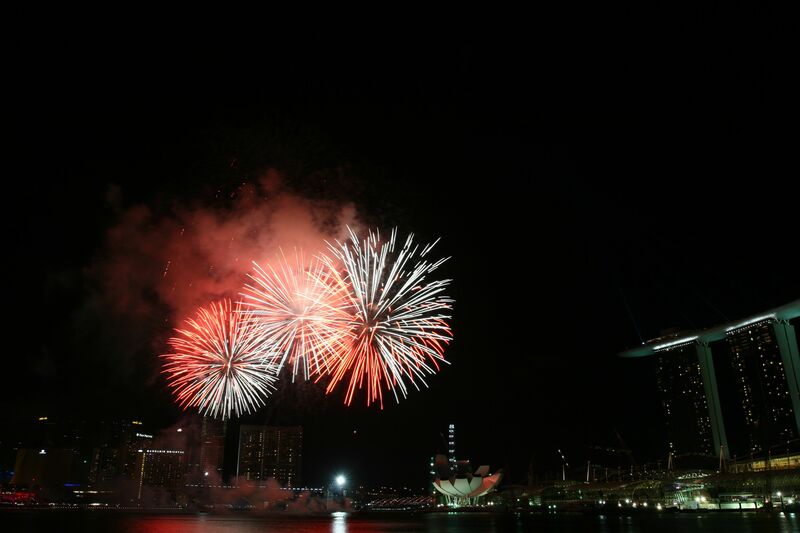 i can imagine to roar of the jet planes and the explosions of the fireworks! Thank you ! 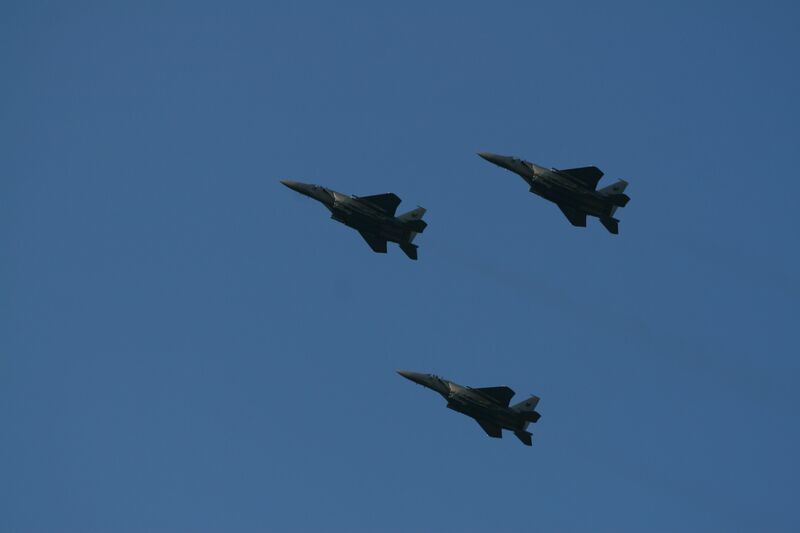 It was great to capture the moments, fast & furious, along with the roar of the fighter jets and fireworks !